I would like to ask if anybody is able to help me on an issue with the (DC motor controlled) Fish Tales reel stopping too late. When it releases balls for multiball start the rotation is sometimes stopping so far too late that the ball cannot roll out of the mech. I assume the reel is set to stop by the tailedge of the interruptor to the opto switch. That is when the switch closes. But I could not know for sure, as my unit is all over the place. Tested with the metal place removed for visual inspection. Any ideas or experience with similar problems are welcome. I should add, that I have replaced the belt and it is very tight. I should also add, that I have tried to move the opto switch (reference point) without much changing if anything. My own ideas for a fix. 1. Alter the motor EMI circuit to improve the motor break or make the motor rotate slower. 2. 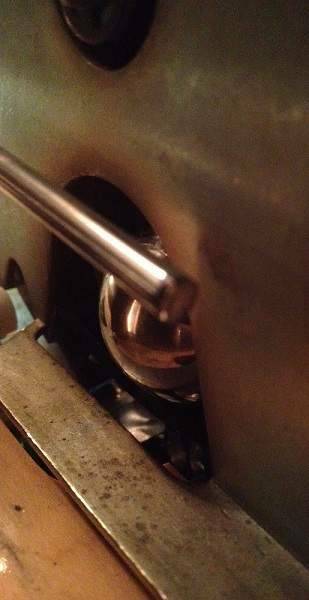 Widen the mounting holes of the metal plate and mount it further in the direction of the rotation. and is your belt the clear one from macro? i replaced my belt with the clear one from that site and it seems to be the perfect tension. Optos are cleaned and the switch test and reel test checks out. I replaced the belt with a standard black pinball rubber ring. And cleaned the tallies. The tension seems perfect. Replace the belt with the proper item. Rubber rings shouldn't be used on this mech. I know you think that black rubber is working great. But it probably is not. I think Clay also used a normal rubber ring in one of his PinballNinja repairs. Yep, he uses a 3,5" rubber ring. Black or white. It's in repair #698. I would check the plastic pulley on the motor. Ive seen these go bad as well where they get stripped. They shouldnt move at all when attaches to the motor. My plastic pulley was slipping on mine also. Had to replace it. I will be happy to try a replacement belt that is claimed to be the correct one next time I am ordering from a vendor stocking one. But I will be very surprised if that is the problem. And I will post a public apology if so. My FT was doing the same thing,replaced the drive belt with new one and was good as new.